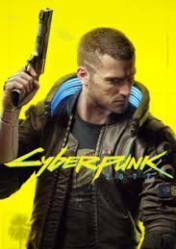 Cyberpunk 2077 is the next release of the creators of the legendary RPG saga The Witcher, CD Project Red, and will be a huge open world RPG set in a dystopian future, and that will place us in California in 2077, in the midst of society where androids, humans, among other races. A society in which technology plays a very important role and with which humans have learned to merge. From what little has been seen at E3 2018, it will be a first-person RPG in which we will play V, a cyberpunk, with whom we will venture into the underworld of futuristic society filled with street warriors, corporate hackers, drug dealers, drug dealers, technology swindlers, illegal brain sellers and much more futuristic scum. The goal will be to become a street legend and fight the mega corporations that dominate the world and rule the fate of all citizens, managing all aspects of life from the top floors of their fortresses, away from the dangers of the streets. Not much is known about the combat system yet, although it appears from the conference that it will be as a shooter, in the first person and with the use of coverings. In addition to the use of vehicles and ships, among others. Remember that this product is a digital version to be downloaded from the GOG website, it is not a Steam version, although this version may be available later. Once you receive the password by email, you simply need to register with GoG, log in to your user account and enter your Cyberpunk 2077 password instead. There are no comments yet about Cyberpunk 2077. You can be the first one!